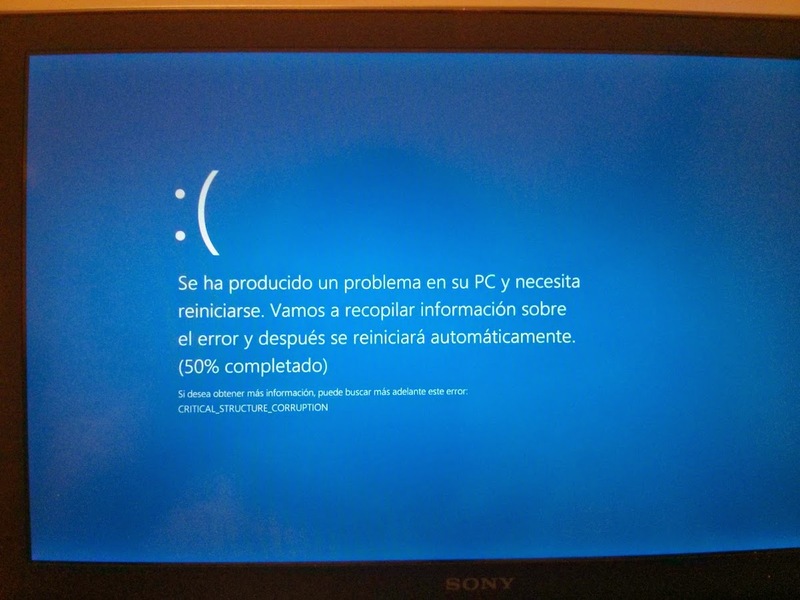 For the past 2 days I’ve been playing around with Android Studio, and I don’t know what’s been more frustrating, the fact that it crashes my Windows 8.1 every now and then or that Windows 8’s Blue Screen of Death (BSoD) has an emoticon. I would like to know who first thought of the idea of including a sad emoticon in this screen, and what train of thought led him to believe that it was, in fact, a good idea. But what surprises me most is that probably someone else ratified the notion that it was a nice idea and that it should be there in the final release! !